The last couple of weeks were quite busy for Prince Albert II. Let’s take a look what kept the Sovereign busy. 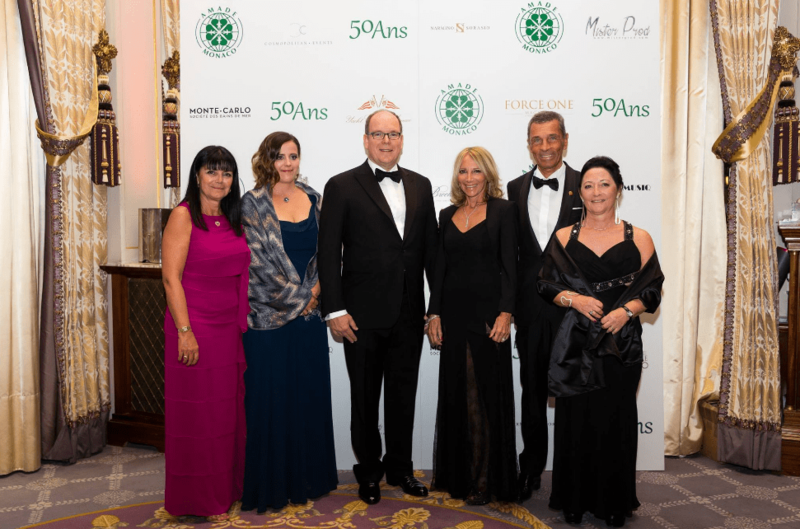 On the 3rd of November, the charity foundation AMADE has celebrated its 50th anniversary with Gala Dinner at Salle Empire of Hotel de Paris in Monaco. Amade – Monaco was created in 1966 by Princesse Grace. And now Prince Albert is the president of this association. Monaco’s global association Amade («Association Mondiale des Amis De l’Enfance») helps initiatives in the fields of education, health and well-being of children worldwide. It is one of the oldest humanitarian associations in Monaco. 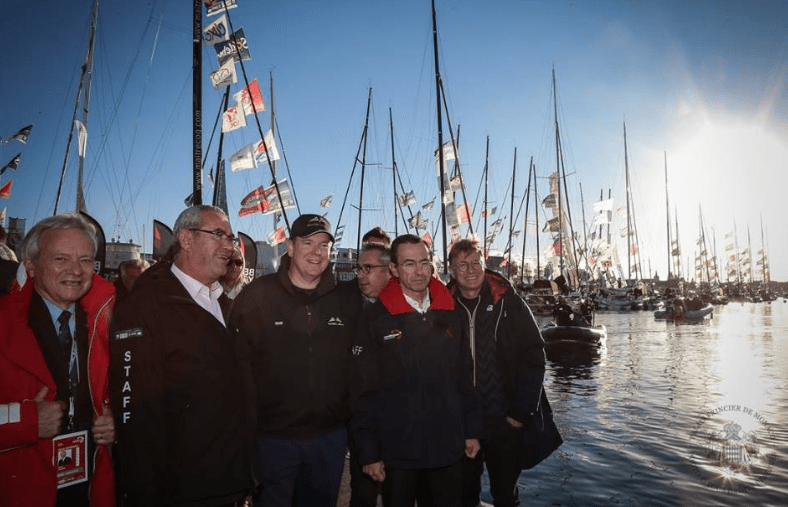 Last Sunday , November 6th, Prince Albert II headed to Sables d’Olonne to give a start to the reggata with 29 participants. Tumultuous waters and extreme challenges ahead, 29 skippers answered the call of the sea. With a farewell from Prince Albert II of Monaco, with clear skies and moderate northerly winds, at 13:02 they have taken off for a trip around the world without outside contact, or help. Prince Albert takes an active participation in supporting many local sports activities. On Tuesday, November 8th he met with Teddy Riner, the French athlete, judo champion. He has won eight World Championships gold medals, the first and the only judoka to do so, and two Olympic gold medals. He has also won five gold medals at the European Championships. 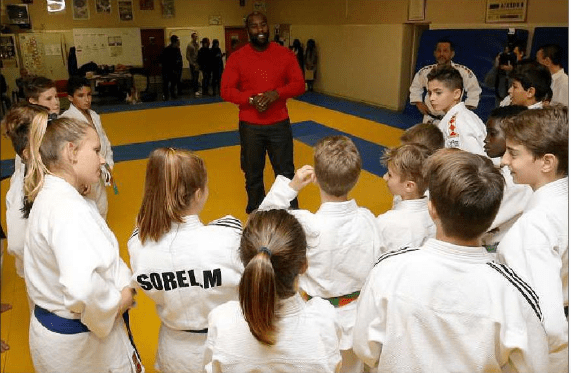 Teddy Riner came to Monaco to have few days of vacations and at the same time to participate in the training of the Monaco Judo Club. Also he spoke to the judo students of FANB by the invitation of Isabelle Bonnal, Director of the Department of National Education. On Wednesday November 9 Prince Albert attended The Award Ceremony of the Monaco Sport Association. This is the tradition already which happens every year. The award evening was held in the Rainier III Auditorium. This year 12 laureates were chosen and the lucky winners were awarded a golden trophy. Prince Albert II, along with Louis Biancheri who is a president of the Association for 38 years, support the largest sports club in the Principality.